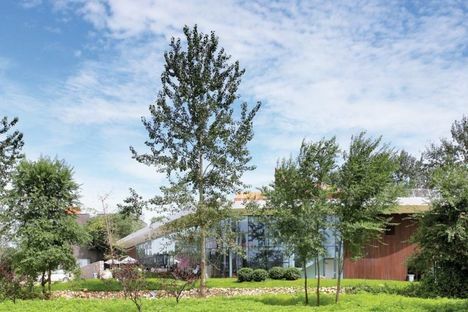 Geuha Youth and Cultural Center in Qinhuangdao (China) offers an opportunity to reflect on the contribution architecture can make to education today. The architects of Open Architecture have designed a round building in which all activities are given equal importance and the spaces flow into each another, just as different disciplines penetrate one another. 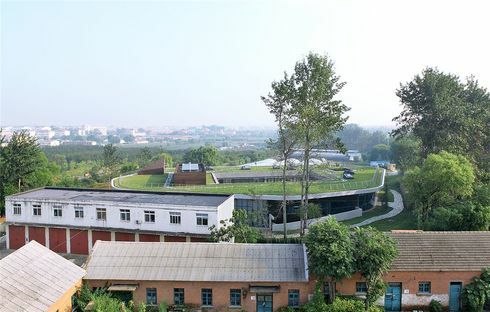 Set in a green setting, resting on the slight slope of a hill, the building makes use of passive energy from the sun, the benefits of a roof garden and natural climate control. 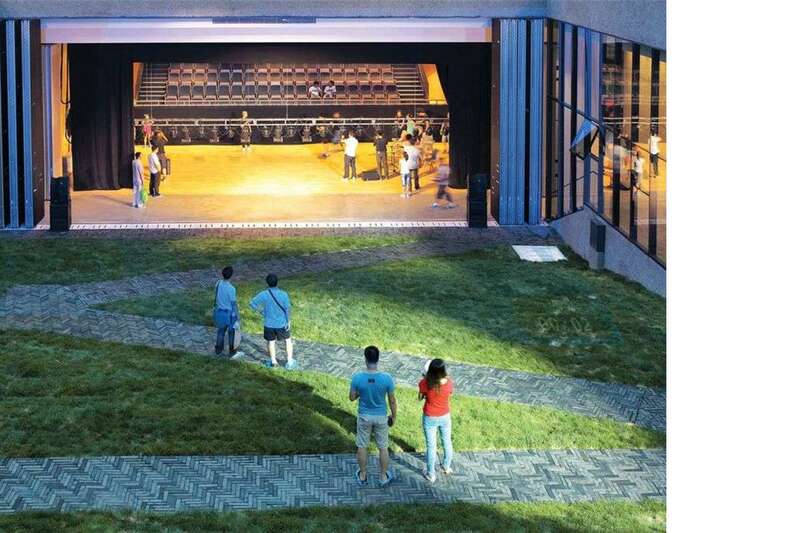 The educational and arts centre is operated by Little Angels Action Fund and the Beijing Gehua Cultural Development Group, a national institution which aspires to be a key reference for all companies operating in the field of culture in China. The aim was therefore not just to build a place for the centre’s operations, a place to host a series of different activities, but an example of a new kind of architecture capable of conveying the broader, more interactive concept of architecture which young people demand today. 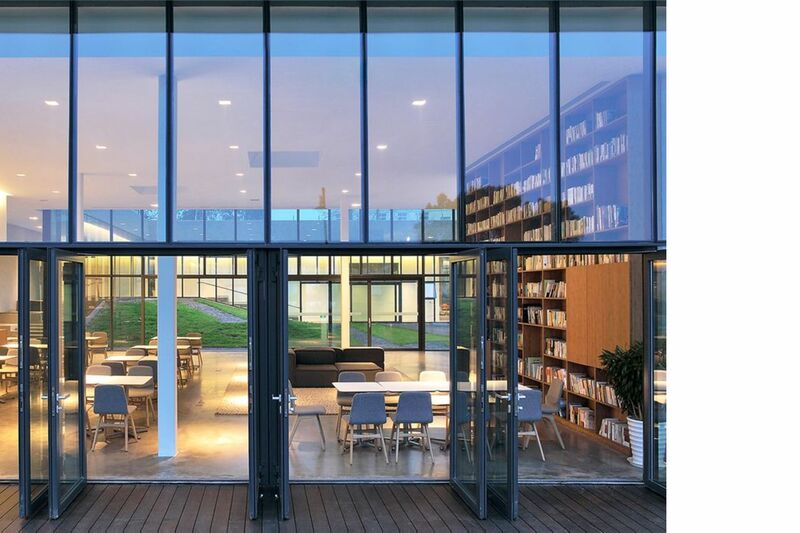 The project revolves around a large central green area, with a corridor overlooking it linking all the interior spaces with the exterior through floor to ceiling windows. 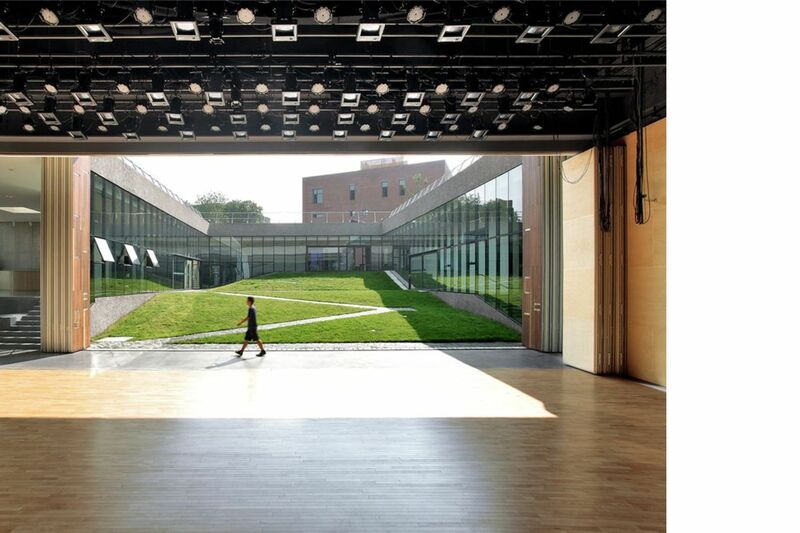 Various different functions (theatre, galleries, activity spaces, a cafeteria, a library, a multimedia hall and various other spaces) are housed in spaces which are never completely closed, but bounded by walls used to exhibit art or walls of glass. The boundaries between different areas are evident, but they are not perceived as barriers; the young students view them as territories to explore and come into contact with. The slope of the land is also used as a barrier-free separating element, and the stairs linking different levels have landings on which people can stop to talk or contemplate the view of the inner garden. The garden is “common territory” both metaphorically and concretely: this is where all the activities come together, a point visible from everywhere in the building, suggesting that every discipline can be connected with all the others, establishing a shared place of dialogue and growth. The round floor plan expresses the concept of the cyclical, encouraging kids to experiment with each of the activities available, as appropriate to the case at hand. One of the most important of these is the theatre, with a double folding wooden door behind the stage which can be opened up onto the central garden. 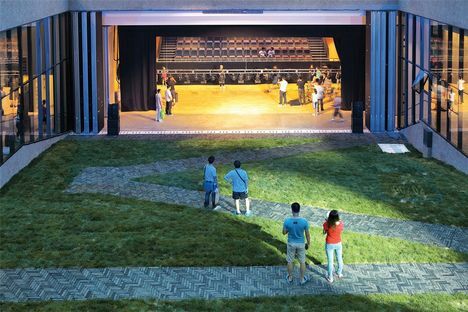 The opening is planned so that the garden, which rises slightly higher than the stage, can be used either as a natural stage set or as an additional open-air seating area for experimental performances. 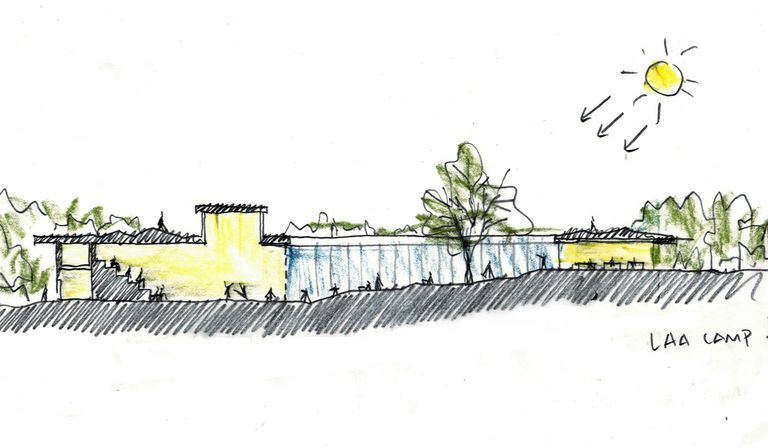 The compositional choices in the project also aim to reduce its environmental impact: the building makes use of the natural ventilation formed by the connected spaces; the walls forming the two rings around the building are made mostly of glass, letting in enough natural light to minimise use of artificial lighting. Solar panels are installed in the roof garden, where the children can grow plants. The Geuha Youth and Cultural Center belongs to the trend in contemporary architecture that interprets vision as a discovery and marvels at the interaction between the natural and the man-made.